In Microsoft Windows, Launched Cygwin terminal mode and running a little bash shell script. The \r is a dead giveaway, as it means there is something amiss with Line Character and Carriage Return. They discuss using dos2unix to accomplish same thing. Crediting Roman Hocke and “me_and“. 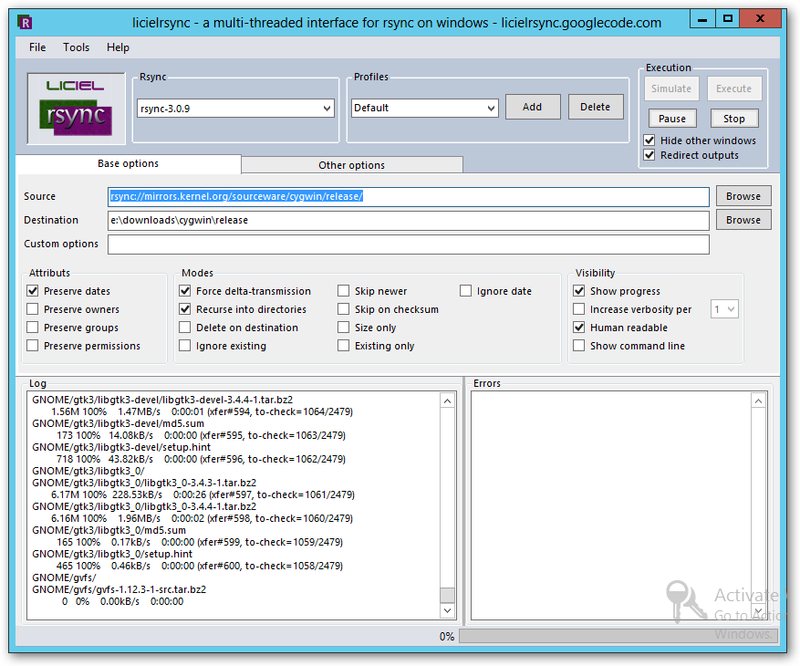 If you need a quick Windows Interface for rsync, you might want to try licielrsync. To speed up download and save on bandwidth cost, the file is compressed. Interestingly enough, it is not compressed as a .zip, but in 7-zip’s native 7z. Working on my Mac Laptop today, but need to get Cygwin for a Windows Machine. Yes, so usually you go to Cygwin web site and download the App. But, cygwin is a bit of a pain here. It does not allow one to download the full install. The only install available is a kicker install. So I am having a bit of horrible tooth-ache. Looked all over the .Net for a good whole install. But nothing credible, nor half-way reliable. The only thing that seemed worthwhile is download all the files locally and copy all those files from my laptop to the Windows Server. So quick learn of rsync is in order. Opted for a GUI Application; specifically Grsync. The Source is either a folder or a URL. In our case, it is the URL for Cygwin. To determine that URL, please sojourn to http://www.sourceware.org/cygwin/mirrors.html. Per each URL, you have a choice http, ftp, or rsync. 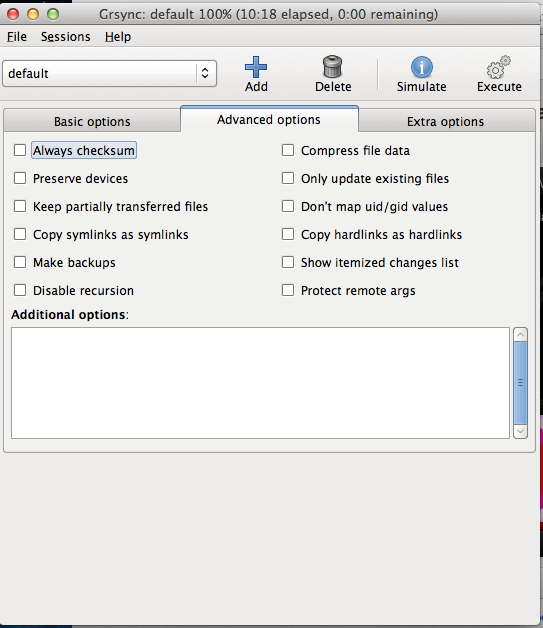 As we doing rysync, grap the URL for rsync. For the Destination, choose a local folder on your machine. Earlier in the year, a friend had setup Cygwin on my behalf. For those a bit unfamiliar, Cygwin allows one to run Linux emulation on MS Windows computers. Anyways, last couple of days turned on to the fact that I am a bit un-able to ssh to the computer when working on my laptop. So next in line is me remote desktop’ing to the windows box, and try to review the sshd logfile for cygwin. And, obviously, sshd.log is empty, not half empty, fully empty. 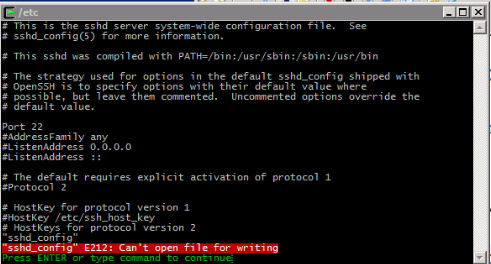 The next steps are to edit sshd configuration file (enable verbose logging) and restart sshd. So changed to the /etc folder and edited sshd_config. "sshd_config" E212: Can't open file for writing. So what do, messed around for a bit and wished I was Ice-Cube and hit a tripple double. Later on went to my home folder (/home/<username>) and was able to create, edit, and saved files. It makes a bit more sense now. Not able to save files…It appears likely that I just lack permissions. Need to read-up on assigning permisions in cygwin.